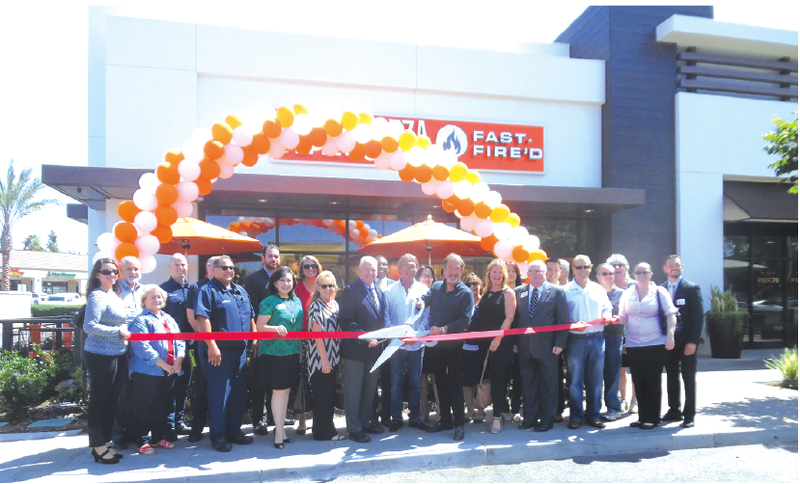 The Cerritos Regional Chamber of Commerce held a ribbon cutting and grand opening ceremony for the latest addition to the Chamber’s growing membership, Blaze Pizza, this past Thursday September 8th. Blaze was the fastest growing restaurant chain in 2015, as it exploded from 50 locations in 2014 to its current 150 locations. It plans to expand nationwide to 350 locations by 2020. Elise and Rick Wetzel founded the company in 2012. The Wetzel’s decided to venture into the $40 billion pizza industry with a do-it-yourself model featuring high-quality customized ingredients. It is a chance to create your own masterpiece, one ingredient at a time. Located in Plaza 183, just west of Gridley Road, Blaze Pizza is at 11269 183rd Street in Cerritos.